Mt. Desert Island and Ellsworth area, Maine, on July 10, 2018. The island includes the towns of Bar Harbor, Northeast Harbor and more. Just offshore, outside the Mt Desert harbor, is Bear Island. Ferries and water taxis transport mail, supplies, residents and tourists to the nearby Cranberry Isles (Great Cranberry, Islesford (Little Cranberry), and Sutton. Cranberry Isles are the five islands of Great Cranberry, Islesford (Little Cranberry), Sutton, Baker and Bear. Buoys dot the surrounding waters where lobster fisherman haul their catch in the morning and afternoons. The communities on these islands are home to many of the fishermen. Cranberry Isles received a U.S. Department of Agriculture (USDA) Rural Development (RD) Community Connect Grant in the amount of $1,320,370. This is the first Community Connect Grant a Maine community has received in over a decade. 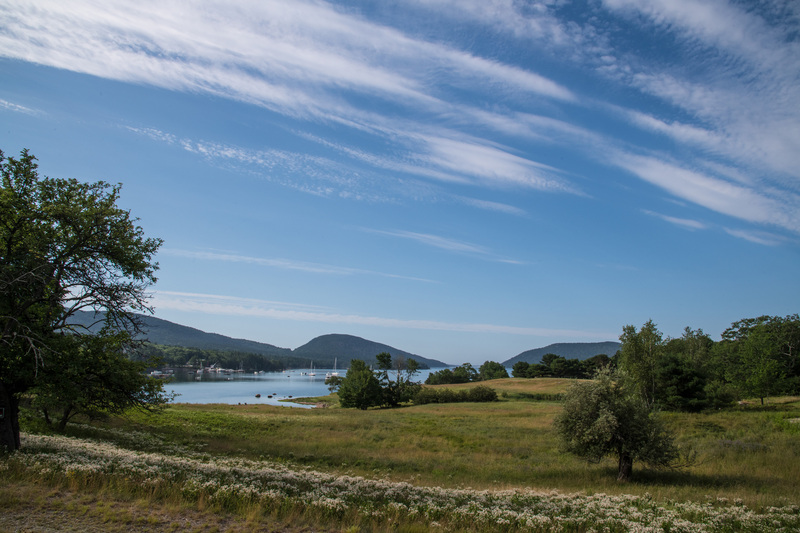 Rural Development funds will be used to construct a combination fiber-to-the-premises (FTTP) and fixed wireless system providing service to the unserved islands of Great Cranberry, Islesford (FTTP service) and Sutton (fixed wireless), Maine. Approximately 141 year-round residents will benefit from the funded system, though in the summer population increases to 1,260. The proposed system will bring increased economic, educational, and health care opportunities to the island. Residents will be able to access a Community Center with Internet service for a period of at least two years. On Islesford the Cranberry Isles Fishermenâs Co-op who rely on stable computer connections pay the fishermen for their catch and sell the products in their stores. Islesford Artisans, operated by Katy Fernald, displays and sells art work from her family of Danny and Malcolm; and the community of more than 30 artisans on the island. The faster and reliable internet connection makes it easy to update and maintain their web site for online sales. A recent sell went to a buyer in England. Photo by U.S. Department of Agriculture.